This week, Football Book Club is reading How to Be Happy by Eleanor Davis and posting about River House by Sally Keith — and maybe Richard McGuire’s Here and Ray Russell’s The Case Against Satan. 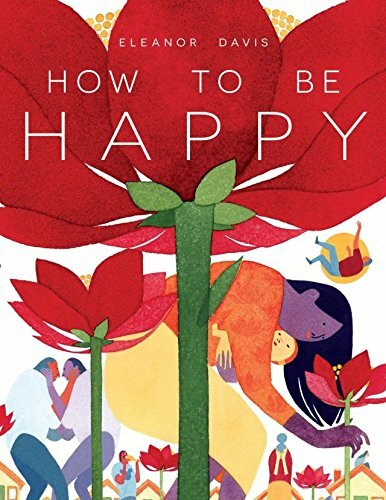 How to be Happy is Davis’s first collection of graphic/literary short stories, was named one of NPR’s and Publishers Weekly‘s Best Books of 2014, and was shortlisted for Slate‘s 2014 Cartoonist Studio Prize for Best Print Comic of the Year. Rob nominated this title for Football Book Club because “As the darkest time of the year approaches, who wouldn’t want to read a book called How to Be Happy? And yet this collection of graphic short stories is no smile-fest. My wife recommended it to me on the basis of its range of styles and its playful power.